The Buffalo Soccer Council is excited to formally announce the next major soccer event in Western New York. 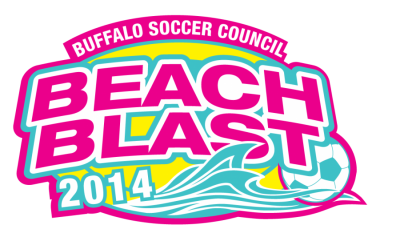 Woodlawn Beach will be the setting for the first ever Buffalo Soccer Council Beach Blast. After the massive success of the 2014 Winter Cup at Delaware Park, the Council will take the same format and hold a sand soccer tournament on Sunday, August 17, 2014 at the Woodlawn Beach Tiki Bar at Woodlawn Beach State Park in Hamburg. Games will be four-on-four, with each team being guaranteed a minimum of three games. It is open to all adults 18 years of age and older. For more information on the tournament, visit our event page. If you’re interested in partnering with us to build Buffalo soccer at this event, we have many sponsorship opportunities available. Please contact us for more information.